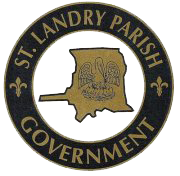 The St. Landry Parish Registrar of Voters Office is located in the St. Landry Parish Courthouse. Persons may now register to vote or check their voter status online. Applications for voter registration, change of address, change of party or change of name may be picked up at any city hall, bank, or library. In addition, any persons utilizing Department of Motor Vehicles or any public assistance angency can transact business regarding their voter registration. Applications for voter registration closes 30 days prior to any election. Any person voting is required to present a picture identification with their signature whether it be during early voting or on election day. Persons needing assistance in voting must provide a statement to the registrar prior to voting. Persons may request an Absentee Ballot by mail, Purchase a List of Voters or Constitutional Amendments online. Mobile Apps are now available as a free download for smart phones. Click here for more info.